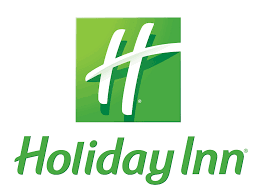 Joe Koppias of Admiral Parkway Inc has announced plans to build a new 4 story Holiday Inn at the intersection of Walnut and N 2nd Street in Murphysboro. MURPHYSBORO — The former site of the Apple Tree Inn will begin its transformation into a new hotel development this spring. Murphysboro Mayor Will Stephens relayed a message at Tuesday night's City Council meeting from site developer Joe Koppeis, saying that his team is scheduled to break ground on May 1. Koppeis was scheduled to attend Tuesday’s meeting, but an unforeseen emergency prohibited him from attending. Stephens said he will be at a future meeting with more details. Additionally, Stephens said that Koppeis is working with a fast-food partner for the site, but nothing is official on that front yet, as the two entities are still ironing out details. Stephens said Koppeis also is working with a couple of other business partners for developments at the site. Koppeis has said in the past he has plans to develop a convenience store, a gas station and at least two fast-food restaurants on the 30-acre site. The mayor called the Holiday Inn portion of the project a “done deal” as the financing is complete. "As mayor, I am excited that in a few months we are going to see tangible construction begin on the new hotel," Stephens said. "This multimillion-dollar investment in our community will be a great step forward toward making Murphysboro all we know it can be." The Apple Tree Inn was demolished about two years ago. The demolition also included the Apple Dome pool, a number of houses and the clearing of timber leading to the Big Muddy River. In the fall of 2015, the area was declared a Tax-Increment Financing, or TIF, district. That designation allows taxes collected over a base amount to be used for economic development within that TIF district. Koppeis purchased the property at auction in May 2015 for $125,000. Former owners of the property include Vincent Piece, Nitaben Patel, Vinus Patel and Kirit Purohit, who owned it for about eight years after buying the motel from Angelo Fiorino. He owned the property for 31 years. He purchased the property on July 4, 1976, but he said it was constructed in the 1950s. He said the former owner Glenn Williams built a 20-unit motel called A.F.D.K., named for his daughter.